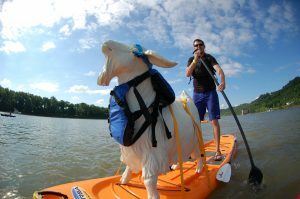 This weekend it is happening again, a tradition like no other, Paddlefest. OK, so I totally stole that slogan, but for almost everyone that walks down the boat ramp Saturday morning they feel it is exactly that. Paddlefest has a huge sense of tradition behind it. The entire event continues to grow with 2,200 paddlers simultaneously on the river in 2012. Paddlefest hasn’t just captured the local paddling community though. It also includes two days of events and celebrations before a boat even hits water. I think this is one of the most understated and most missed opportunities in the tri-state. The week kicks off with an amazing opportunity for tri-state kids. The Kids Adventure Expo is a free to the public event at Coney Island the Thursday before Paddlefest. This year’s expo sets up 4 villages: “Let’s Move”, “Let’s Explore”, “Let’s Splash”, and “Let’s be Green”. Events like this change not only our community outlook but also our world’s future. Friday night takes a 180 degree turn and turns up the speakers. A free concert featuring acts like “Reverend Peyton’s Big Damn Band” and “Jake Speed and the Freddies” promises to please. Both food and beverage are available featuring delicious local brews from Mt. Carmel Brewing Co. The event draws several local specialty shops with goods available and there is a Gear Swap for cheap finds on used gear. RRT sets up a booth and donates the grand prize for the raffle, a brand new Liquid Logic kayak! Hamilton County Parks brings in a climbing wall and Camp Joy utilizes a climbing tree. The mist is barely lifted off of the Ohio when the first boat hits Saturday morning. People have traveled from afar, many from several states over for the event. Once everyone hits the water, it is an 8 mile float from Coney Island to Sawyer Point. You might be thinking, “Why is there so much passion for a slow Ohio River paddle?” Well, I’ve got to be honest; the Ohio does not have a single rapid, there is not a single cove or stream on this section to float down, the water as we all know is anything but pristine and I have yet to see any whale or puffin splashing around. All that aside, I have a blast each and every year! I get the same sensation during Paddlefest as I do from a big race. You are surrounded by people with a common cause and purpose. You also are physically exerting yourself, perhaps not to the limit but to the point of bonding. You are all equal and together, you are no longer strangers, but partners in a grand event that may near 2,500 strong this year. Looking far in both directions and all you can see are colorful kayaks sprawled across the Ohio River. We are after all in the paddle capital of the U.S.A.
Go out to the Ohio River this weekend, tip your head back and let the sun warm your face, relax, and appreciate the life force that a river provides. 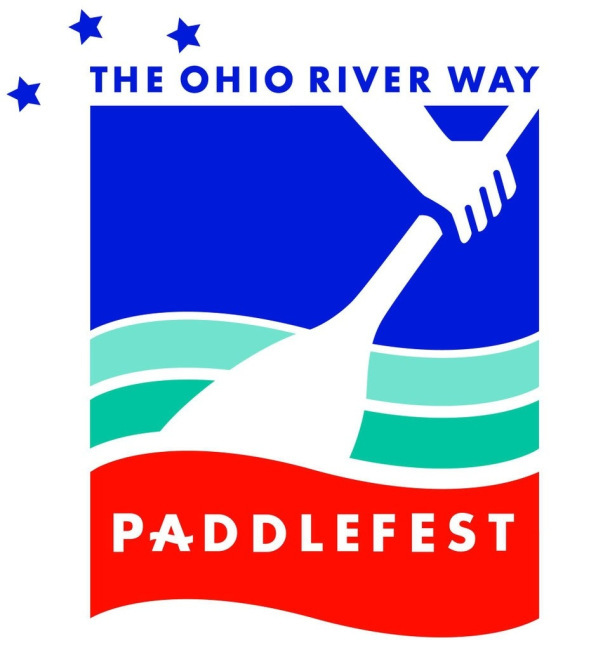 Thank you to the Ohio River Paddlefest and the Green Umbrella for all you do to share our resources for opportunity in exploring and protecting what we have.